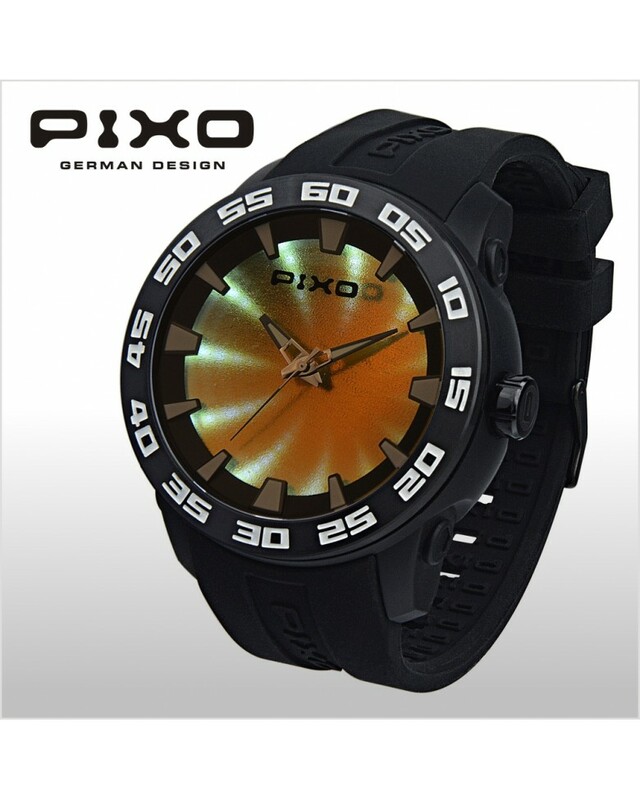 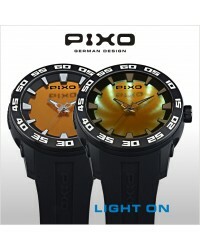 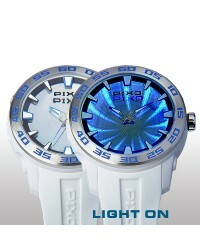 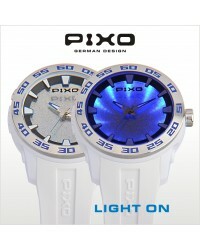 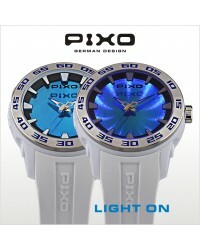 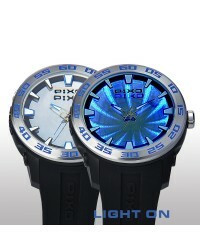 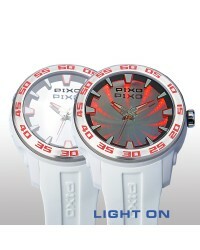 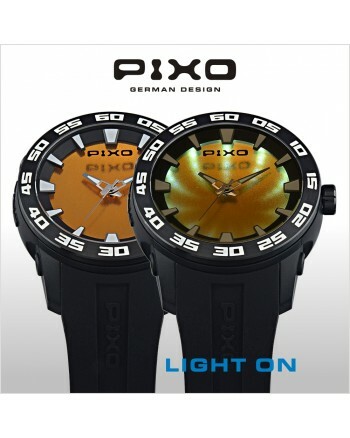 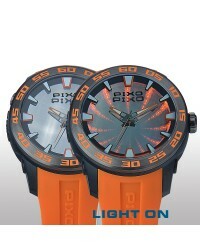 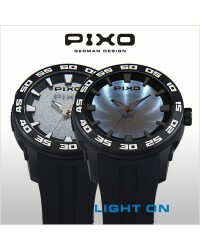 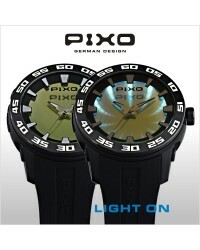 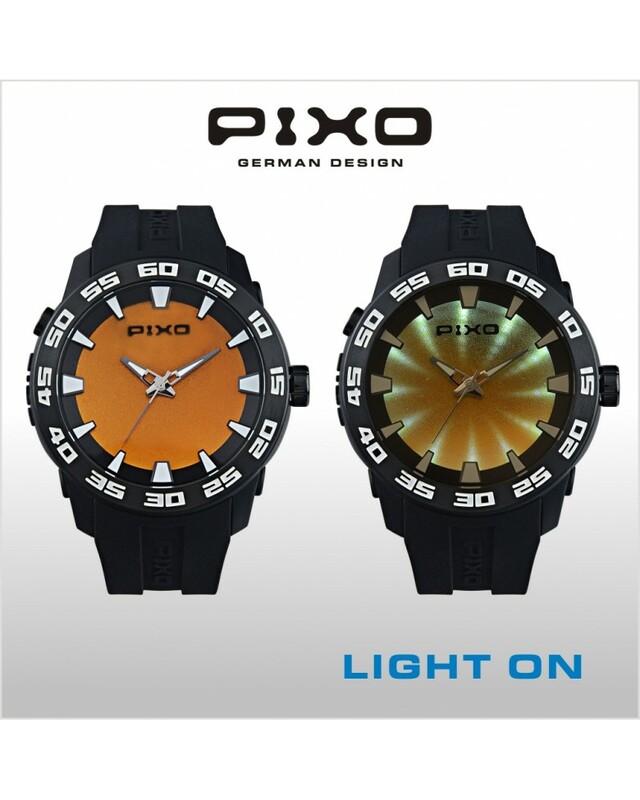 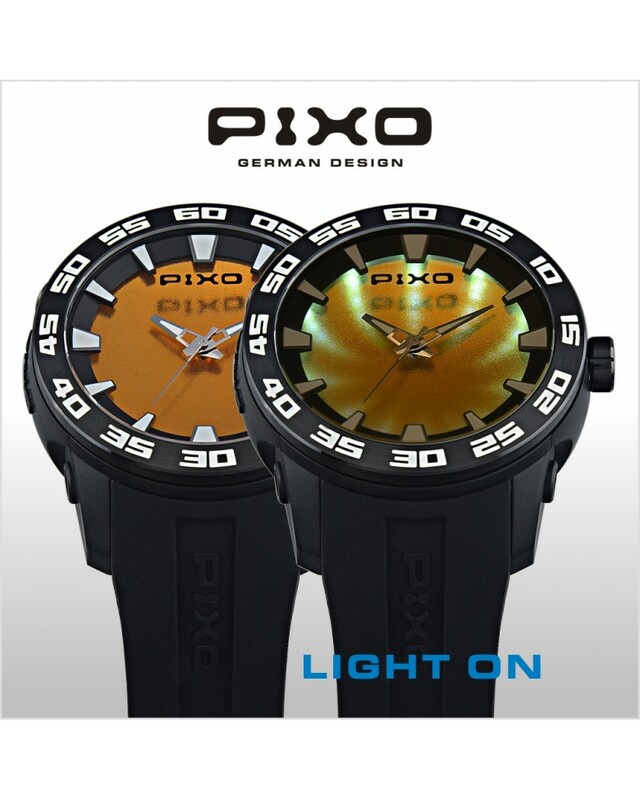 - 3 hands analog watch with special 3D light effect. 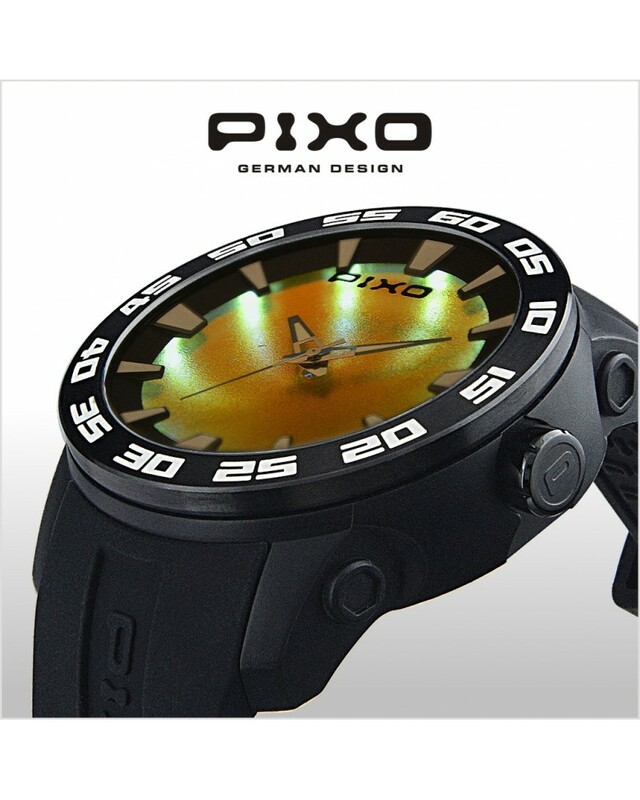 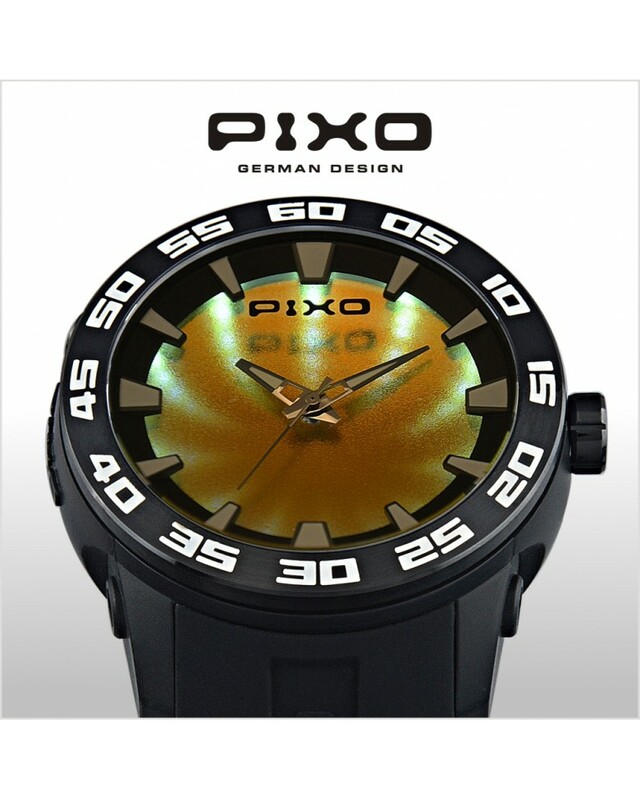 - Case: Black body, Stainless steel top ring with PVD plating in gun color. 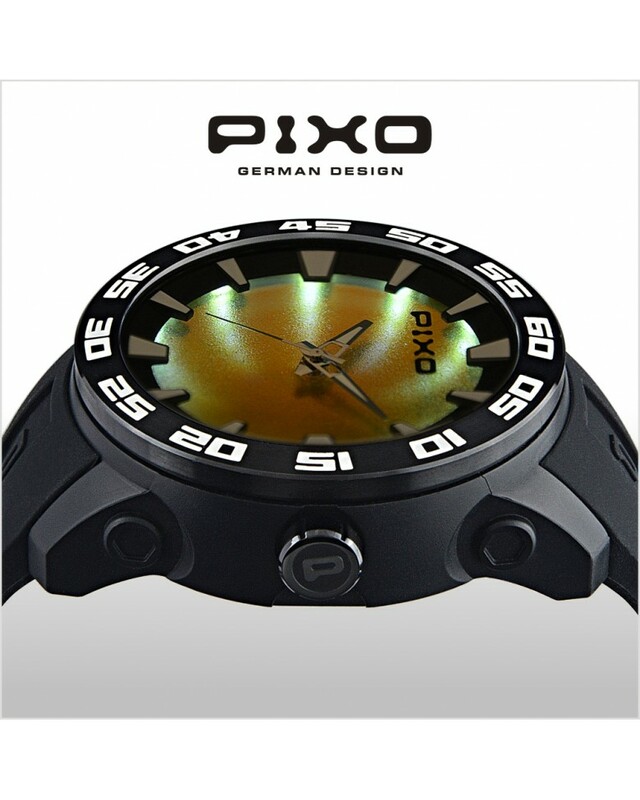 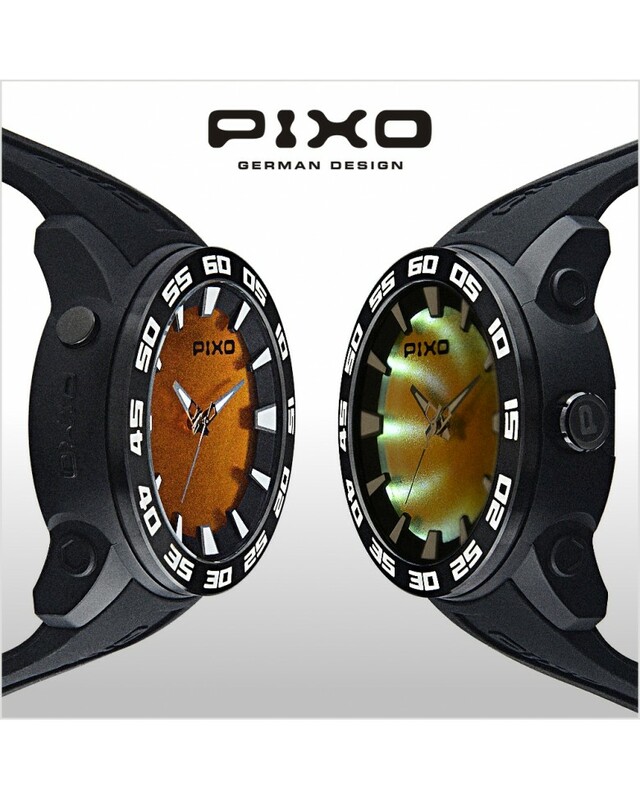 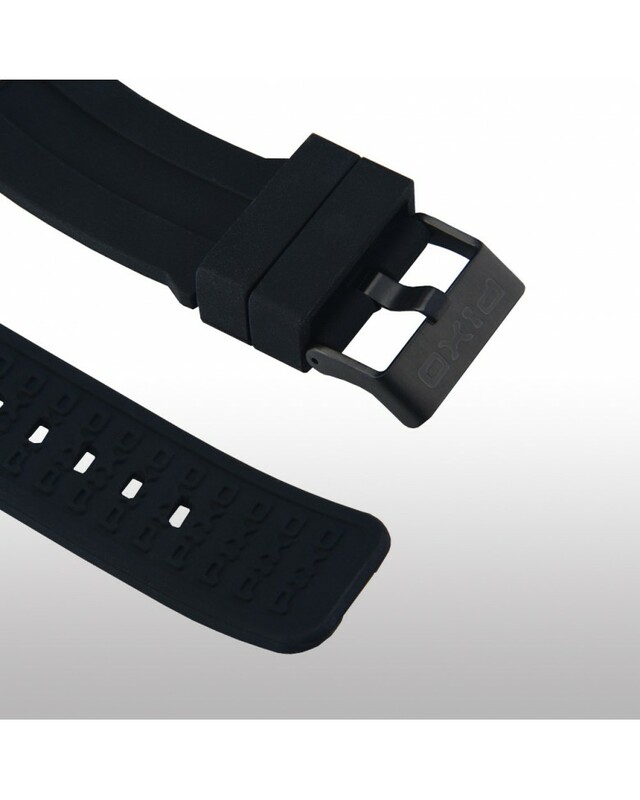 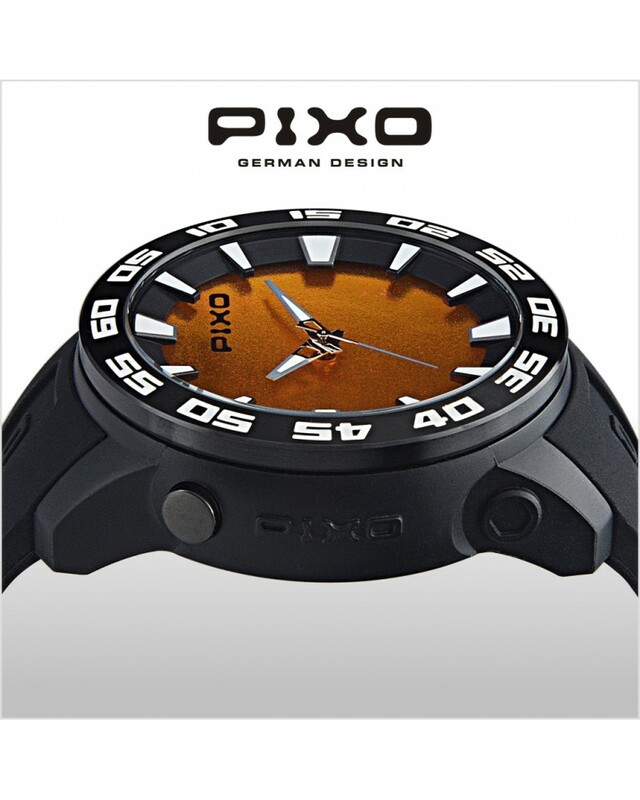 - Case: Fibre-glass enhanced plastic, with Stainless steel top-ring and caseback.